Everyone produces trash, but not many people fully understand what happens to trash once it leaves their home and is picked up by a waste management company or recycling center. After trash pickup, your local trash company will take anything that isn’t sent to a recycling center or burned to a landfill. Keep reading if you’re interested in learning about the science behind landfills and waste management in Atlanta . Since 1960, the amount of waste that is produced in America has almost tripled, and the amount of trash that is buried in landfills around the country has doubled. Waste disposal and recycling are handled by different waste management companies and recycling centers around the country, but the processes are essentially the same from state to state. 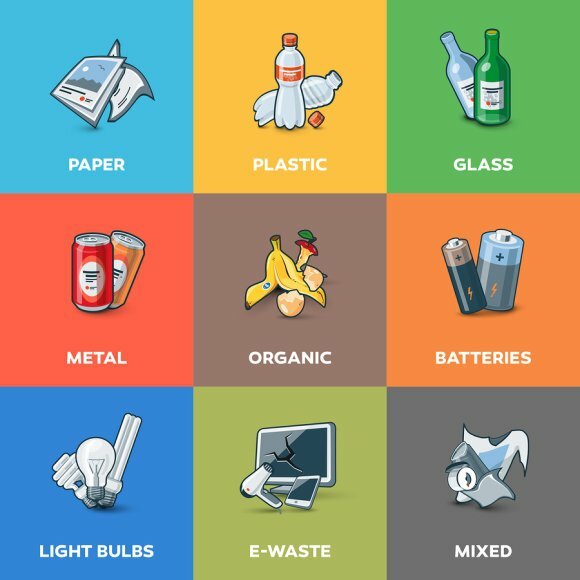 According to HowStuffWorks.com , approximately 32.5% of all trash is sent to a recycling center, while 12.5% of trash is burned. The remaining 55% of America’s trash is sent to landfills. Trash companies can take trash to two different places for disposal: a dump or a landfill. A dump is a huge, open hole in the ground into which trash is placed. Dumps are open to the elements, and often provide shelter for various insects and animals. 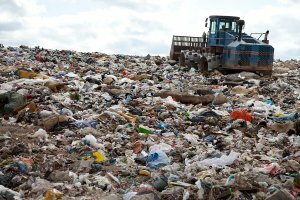 A landfill is a structure that is carefully designed to ensure that trash is buried in such a way that it will not infiltrate or pollute the ground or water supply. The purpose of a landfill is not to help trash decompose, but simply to bury it. Because landfills prevent trash from coming into contact with the air or other outside elements, the trash does not decompose. The top layer of dirt that covers the landfill is covered each day with 6 new inches of compacted soil to keep air and animals out. This soil is then planted with vegetation, such as grass, to prevent erosion. Commercial waste is simply the waste and trash generated by a business or company. Commercial waste does not include household, agricultural, or industrial waste. In order to effectively and properly dispose of commercial waste, your company must employ the services of an experienced waste management company in Atlanta that can provide you with the tools and components necessary for safe garbage disposal and junk removal. Here are some of the key elements of commercial waste management. Your waste management company will be able to provide you with the tools you need to manage your company’s waste, from food to paper and electronics. You will need enough trash cans inside and outside of the building to make it very easy for employees and guests to dispose of trash. You may also want to participate in a commercial recycling program so that you can reduce, reuse, and recycle the majority of the waste that is generated in your day-to-day operations. Ask your waste management company if they provide recycling bins and if they have access to a recycling center. Finally, you will want to take advantage of dumpster rentals for your commercial property. Dumpsters are used to collect the trash and waste from trashcans until your scheduled trash pickup day. A great waste management company will provide waste analytic services. The company should provide you with data pertaining to the amount of waste your company produces during a fixed timeline. This can help the company implement procedures to cut back on the amount of trash and waste that is generated. This service will also help you create an effective trash pickup schedule with your waste disposal company. The data that you obtain from your waste analytics service can help you create a zero waste model that will make your company more eco-friendly. Your waste management company can help you create a program that includes recycling and reusing materials to reduce waste that would otherwise take up space in a landfill. 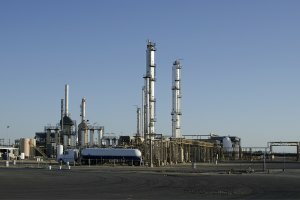 Commercial and Industrial businesses generate a substantial amount of waste in Atlanta on a daily basis, and landfills are starting to reach their capacities; since waste disposal must inevitably continue, it will have to be done in new and creative ways in order to reduce environmental impact. Keep reading if you are interested in learning about a few tips for waste reduction. While most products that businesses buy are consumed, ingested, or otherwise used for their particular purpose, the packaging they come in is typically thrown directly into the garbage. While recycling has become a partial solution to the growing trash problem, other efforts will be needed in order to see a noticeable effect. Material recovery facilities have also furthered the cause, and repurposing materials has been an important missing piece. Before throwing out a piece of garbage, think about whether or not someone else could use it for a productive purpose. Waste management in Atlanta has always been a tricky process; many seemingly unusable trash items are stored in landfills, but landfills are running out of room and the rate of waste disposal is not slowing down to nearly a sufficient degree. Fortunately, recycling has been a saving grace and a prominent method of diverting waste away from landfills. Here is a quick look at just a few amazing facts about recycling. 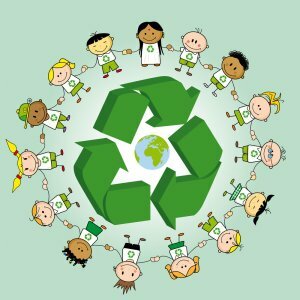 Recycling can make a significant impact on society’s ability to preserve the environment and make the most of garbage. Fortunately, the recycling process is simple. A task as easy as throwing aluminum cans away in a special bin can prevent these reusable resources from finding their way into the depths of landfills, never to be seen again. Billions of dollars worth of aluminum has been landfilled instead of working its way back into the market to be reused and repurposed. In addition to small items like aluminum cans, larger materials and pieces of machinery can provide a substantial return when they are scrapped. Tires and oil can both be salvaged off of and out of junkyard cars to be returned to the market. Why Should You Hire a Junk Removal Company? 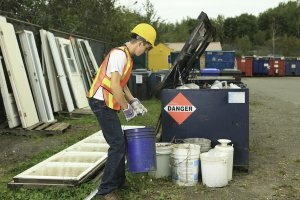 Cleaning up all of your leftover materials after a large commercial project or managing the waste you have accrued on your industrial site can be tedious tasks, but they are necessary nonetheless. If you do not have the time or energy to do this on your own, consider professional junk removal in Atlanta. If you are considering your waste disposal options, read on to find out why you should hire a junk removal company. When you begin your business and look for suitable buildings and office spaces, you will typically be presented with certain information about the building, including the square footage of the space. As your business does its work, you may see this number appear to shrink as clutter and waste grow and take up more and more space. Clutter can make the workplace uncomfortable and even provoke anxiety, which can distract you from efficiently completing your daily tasks. Hiring a junk removal company can go a long way in removing this clutter, maximizing the use of the space you paid for, and alleviating your anxiety—and that of your employees—in the workplace. One thing to keep in mind with clutter is that it can cause anxiety while it exists, and yet it can also be stressful to get rid of. Running a business is a full-time job that requires your constant attention, and there are many different tasks to complete; removing clutter tends to fall to the bottom of the list in favor of other projects. You can save yourself the time, energy, and stress of waste management while still watching the job get done when you hire a junk removal company. This allows you to focus on the primary concerns of your job. Part of the waste management process is going through your junk and clutter to determine what can be recycled. A junk removal company will do this for you, and they will make sure that the recyclable materials found will be recycled or donated appropriately to reduce your environmental impact.